iFile is a third-party file manager app for iOS devices like iPhone, iPad and iPod. What is a File Manager App and what is the use of having it on our iOS devices?, Let me tell you. The file manager will provide you access to root files of a device as a major advantage. Moreover, It will provide full access to edit, share files and a lot more. Simply it works like Explorer on Windows and Finder on a Mac computer. It will help you customize your iPhone or iPad in a way to access files with ease. There are a lot of advantages in having a file manager app on your iOS devices. Check out all the advantages and attributes of the app given below. By the way, I will help you download iFile ipa for iOS 10 or iOS 11 devices without jailbreak. The File manager app will allow you navigate through the root system of your iOS device with ease. Check what kind of files you can access and manage. Music files (.MP3, .OGG, .WMA, .WAV, etc). Video files (.MP4, .VOD, .MPEG, .FLV, .AVI, .MOV, etc). By default, we cannot find photos and images using their names on iPhone, iPad or iPod. But the file manager will provide you access images using their names. Access and Open Web Archives like Web Pages saved for offline use. Installation of Debian (.Deb) Packages. Bookmark, Create, Copy, Cut and Paste and Zip, Unzip files and folders. 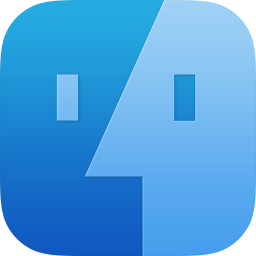 Edit and Save .txt files on iDevices. Find and Access PDF files with ease. Moreover, it also provides you access and manage compressed (.zip, .tar, .rar) files and Microsoft files like PowerPoint, Excel, Word documents, etc. Check out the better alternative file manager for your iDevice, Filza File Manager. iFile is actually a Cydia Tweak and it needs your device to be jailbroken. It’s not at all possible to jailbreak iOS devices officially but Yalu, TaiG and other tools will help you somehow. Moreover, those tools should be installed using their ipa files and Cydia Impactor. But the Installer Certificate will expire after every 7 days with a free apple developer account. To compensate that issue, Saurik has developed a tool called Cydia Extender. Check How to Install Cydia Extender without a Paid Apple Developer Account. That resolves an app certificate expiry issue with ease. Download iFile.ipa for your iPhone or iPad from this link and then follow the instructions to install the file manager. Of course, I will show you different ways to install the file manager on your iDevice. Today, I am going to show you a method to install the file manager without using the iOS App Store. Moreover, You do not need to jailbreak your device and that’s not recommended as well. Here is a guide to Install Cydia Impactor on your Computer and I suggest you please install the Cydia Impactor. Ready?, Follow the instructions then. Download and save iFile App ipa file on your computer (Either Windows or Mac). Open Cydia Impactor on your Windows or Mac computer. Connect your iOS device (iPhone or iPad or an iPod Touch) to the computer on which Cydia Impactor is installed. Select your iPhone or iPad using the First Scroll Down menu. Now, Drag and Drop the ipa file of the iFile File Manager app onto the Cydia Impactor tool on your computer and hit “Start“. Now, the file manager will be installed on your iPhone or iPad or on iPod. Go back to the home screen of your iOS device and launch the newly installed file manager using the app icon. Just recall the procedure we have come across, We did not jailbreak your iOS device. That is the simple yet working method to Install iFile without Jailbreak on iOS 10 or iOS 9. I will update this post whenever I find any working method to Install the file manager on your iPhone or iPad or any other iGadget. Access and organize the root level files on your iOS devices using a brand new iFile iOS 10 File Manager App. It’s easy yet jailbreak free but requires a little skill. No panic, Check out the wonderful method given above to install the app on your iPhone or iPad or on iPod Touch. Thank you so much for reading this post.